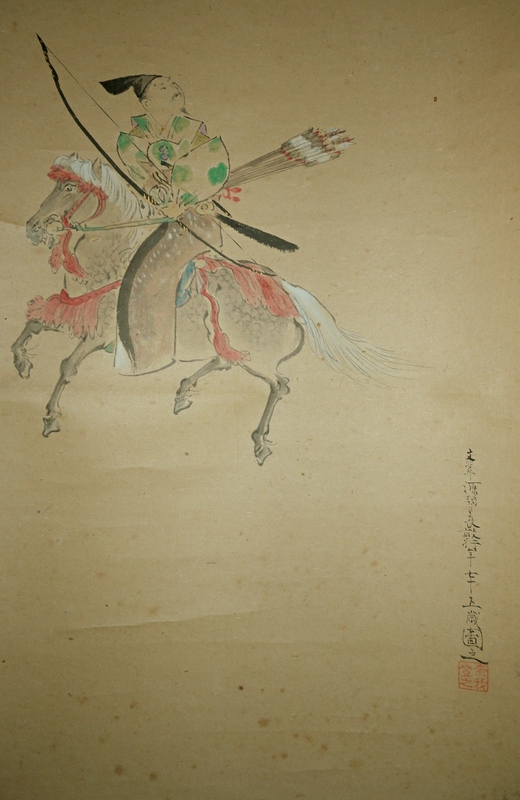 " Samurai Warrior Enjoying Cherry Blossoms "
There are some ravels and a few small tears on the mounting. 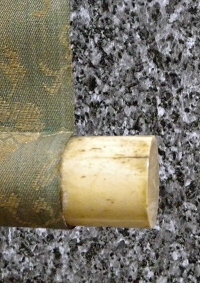 There are small spots and stains to some extent in whole. 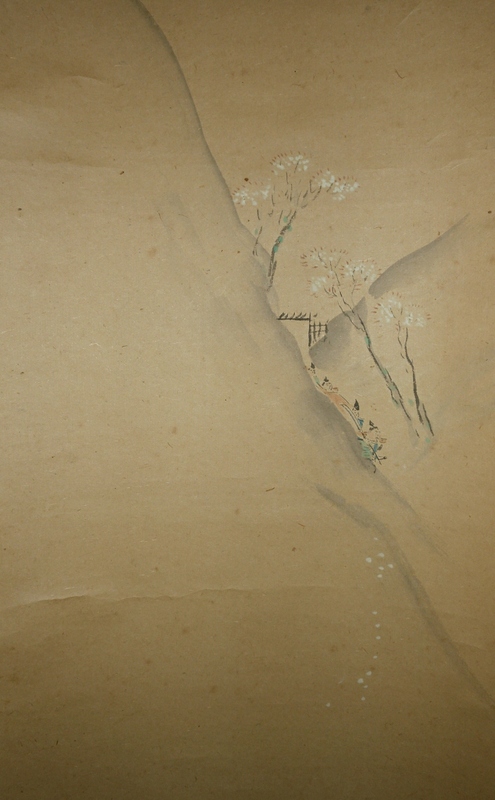 Although, a Samurai warrior on a horse enjoying Sakura (Japanese cherry) blossoms is drawn artistically.